Window cleaning has a number of benefits, no matter if you use professionals for your home or your business. Not only can professional window cleaners, like NICK’S Window Cleaning, provide a window maintenance program that helps keep your windows clean, these services also come with numerous other benefits, including saving you money. 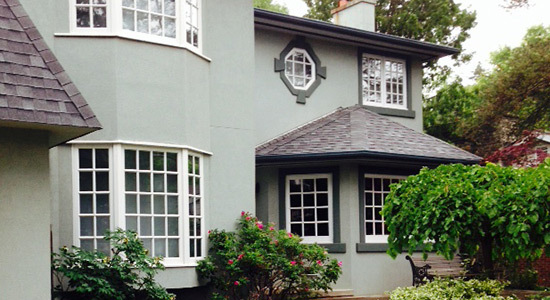 If you’re looking for a North York window cleaning company that doesn’t compromise on quality, customer service, or affordability – look no further. When it comes to window cleaning in North York, there are plenty of ways that professional services like NICK’S Window Cleaning can save you money. Not only do we work with you to create a tailor-made window maintenance program, we can also help take the inconvenience out of window cleaning. Once your windows are properly maintained by a professional, they can last longer, saving you on expensive replacements and repairs. So if you’re looking for window cleaning Toronto residents trust, you’ve found us! We like to think our customer service is the best you can find in our industry, and only matched by the brilliance of the windows we clean. Windows are just like most things in this world: they last longer and do their job better when they are properly maintained. Window cleaning, especially when done by professionals, will help your windows last much longer than if you left them to get dirtier and dirtier. Professional North York window cleaners use all the right equipment and cleaners to help your windows stay strong and clear during every season. Without this regular maintenance, however, your windows could lose their effectiveness and require replacement much sooner than you’d expect. Window cleaning in and of itself can be tricky, complicated, and inconvenient. Not only is the work itself time consuming and slightly dangerous, it can take away from time you’d rather spend doing something else. NICK’S Window Cleaning seek to make having clean windows painless and hassle-free. We are available six days a week and can come to clean windows at almost any time of day, so we can clean windows when it is most convenient for you. That means your windows can be cleaned during the weekend, the early morning, or whenever else you decide. It’s all about making maintaining your property easy and effective for you. At NICK’S Window Cleaning, we want to create plans and programs that are as individual as our clients. So rather than convince you to sign up for a prepackaged plan, we work with you to see what are your needs and expectations. Once we know more about you, your budget, and your requirements, we can create a window maintenance plan that works for you. That way, you can have the window cleaning in North York that you need, at a price and convenience that is also required. We provide residential and commercial window cleaning services in the North York area, we provide both interior and exterior cleaning services so your windows will always look their best. We are able to work up to a maximum height of 3 storeys. Our team is both friendly and professional, and most importantly highly-trained – our team knows how to clean windows properly. Our aim is to make every customer a happy one, we believe we are in the business if building relationships primarily so we go the extra-mile to make sure your property is looking it’s best. If you’re looking for a professional window cleaning company in Markham, make sure you give us a call – we’re confident you’ll like our services so much we’ll be seeing each other regularly. Windows are expensive to replace. If you try to clean the windows yourself you could end up cracking, chipping or even shattering a window that will cost a lot of money to replace. Do you really want to run the risk of damaging that picture window or breaking that stained glass window on the second story of your home? Probably not. Professional window cleaners know how to carefully wash all different kinds of windows from small windows to huge floor to ceiling picture windows. Experienced window cleaners have the tools and expertise to clean the windows safely and they know how to keep themselves safe while cleaning windows too. A crew of professional window cleaners can get all the windows that your home has cleaned fast no matter big your house is. Because they have commercial grade cleaners and specialized cleaning equipment they can get the job done right the first time. They will clean the windows and inspect them for any potential trouble spots so that you will know if your windows are at risk of being damaged. Cleaning the windows yourself could take days. If you need windows that are clean in a short amount of time, like in time for guests to arrive or in time to sell your home, hiring a professional cleaning service is the way to go. Here’s a trick that a lot of home gurus won’t tell you. If your home is looking dull or lackluster cleaning the windows can give your house a fresh burst of curb appeal without any renovation. Instead of an expensive and time consuming paint job just get the windows professionally cleaned. Your house will look great without a lot of expense or hassle.